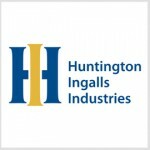 Huntington Ingalls Industries’ technical solutions business has received a three-year, $78.4M contract to help manage the U.S. Army’s Non-Intrusive Inspection System Support platforms designed for detecting explosives and contraband from cargo, personnel and vehicles. HII said Monday its mission driven innovative solutions group will maintain, repair, field and engineer the military branch's Non-Intrusive Inspection System Support systems in various U.S. and overseas locations. Other services under the task order include supply support, configuration management and training activities. Garry Schwartz, president of HII-MDIS, said the award expands the company’s command, control, communications, computers, intelligence, surveillance and reconnaissance support work at Aberdeen Proving Ground in Maryland. The Army’s NIIS platforms include mobile, rail-mounted and fixed-site commercial products fitted with nuclear and X-ray technologies that aid in the detection of improvised explosive devices and various contraband invisible to the naked eye.